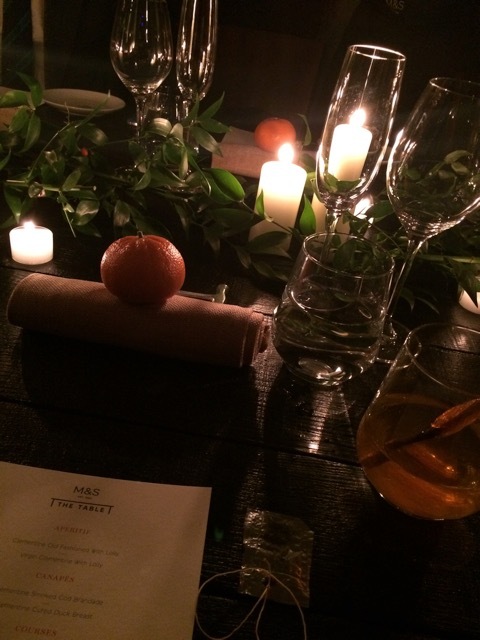 The Table presented by M&S in association with Robin Gill & Lee took on the challenge of creating an entire menu based solely around the very seasonal clementine.They certainly succeeded in this and created a wonderful dining experience. 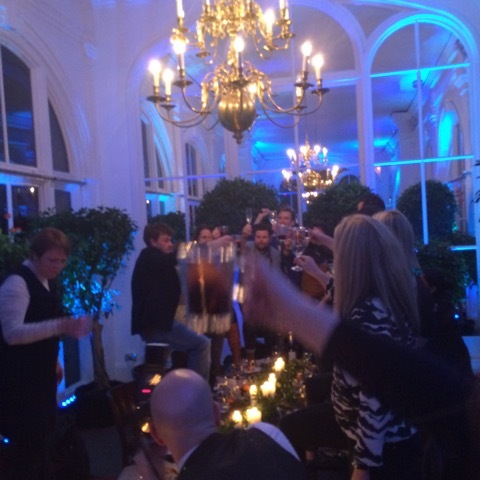 The venue, The Orangery in West London’s Holland Park, fit the evening perfectly. The ambience was, whilst dark as intended, warm and quite cosy. All guests were led to an initial marquee where we were greeted with a cocktail. 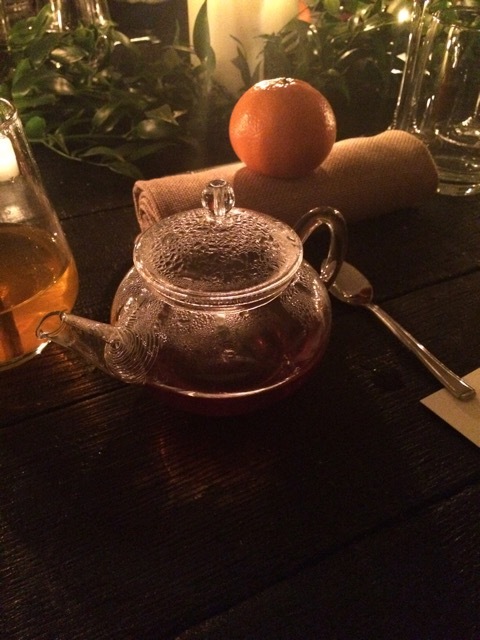 We were then given a special lollipop (orange of course) to infuse into the spirits, which made it a lot sweeter. We were then lead to the dining room by our energetic host, who explained our unique menu. 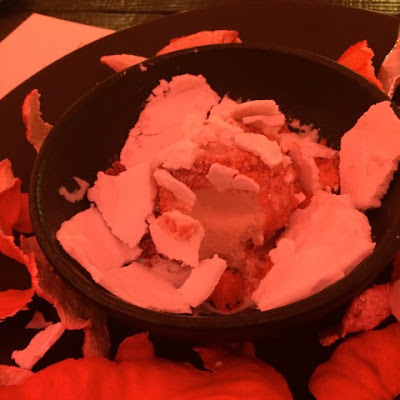 Each of the 6 courses, which arrived with a different drink to complement and a lighting change to shift the ambience, were very inventive. Seeing as they were all based around the same ingredient, the chefs did an excellent job of creating varied courses. 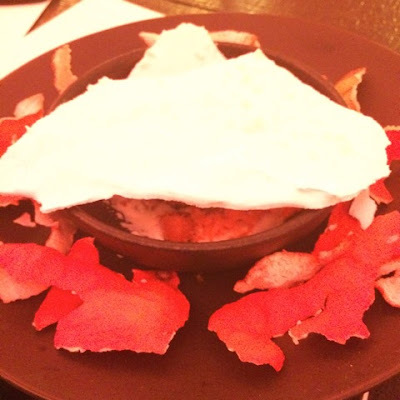 The first was the Crab and Clementine ‘Posh Noodle’. As we sat down we had to pick teabags from the special ‘Clementine’ tree. We then put the teabag into a pot to infuse, which we then poured over the noodles. 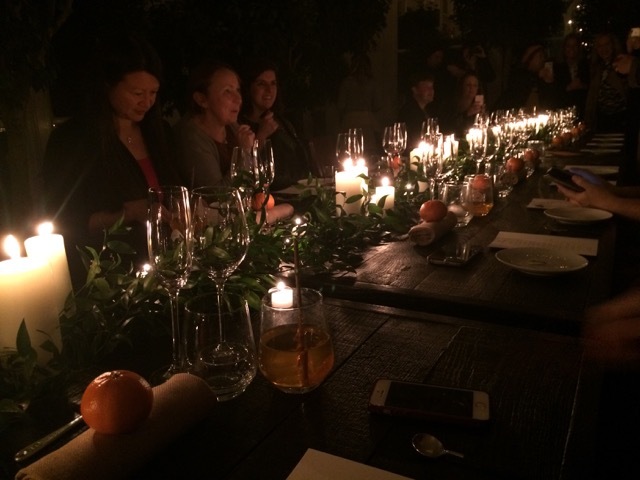 This course was flavourful but also quite light, making it an exciting start. 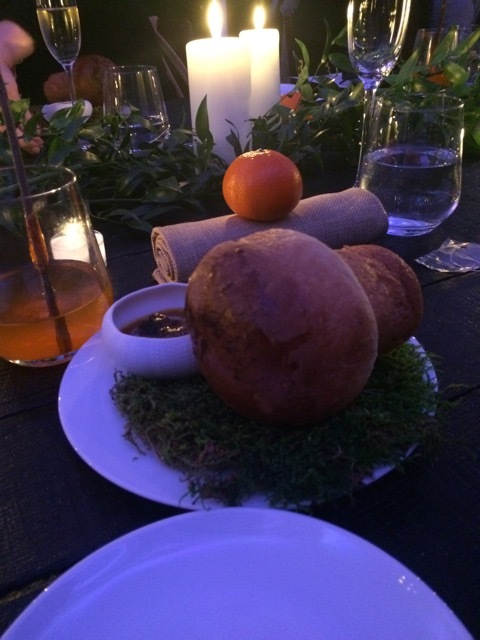 Next was one of my favourites - Mushroom Brioche, Fermented Mushroom and Clementine. The warm brioche bread, shaped like a mushroom, was dipped into the rich fermented mushroom, complementing each other perfectly, and would be great at any Christmas party. 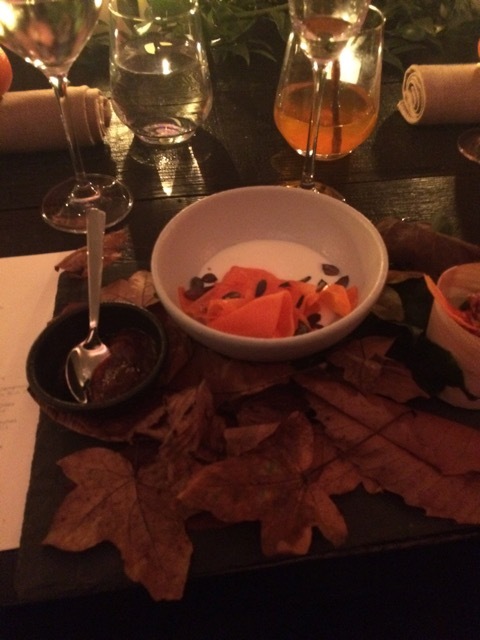 We then moved on to the Fresh Curd, Clementine, Star Anise and Squash Crisps. At this point we were encouraged to play with our food and mix everything together. Personally, I’m not a huge fan of Star Anise so I found this course slightly too overbearing in flavour but I liked the textures and once again the presentation was beautiful. 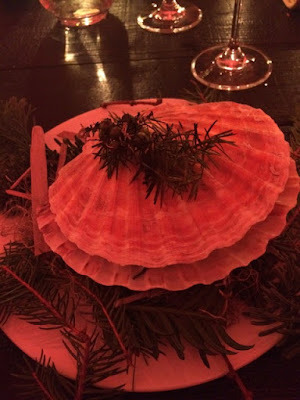 The Scallops cooked over Juniper and Clementine Branches was again another favourite of mine. 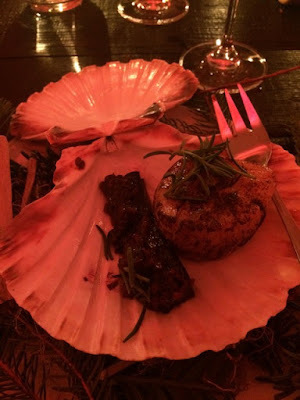 We could actually see the chefs barbecuing the scallops outside. They were fresh and light with a subtle flavour. 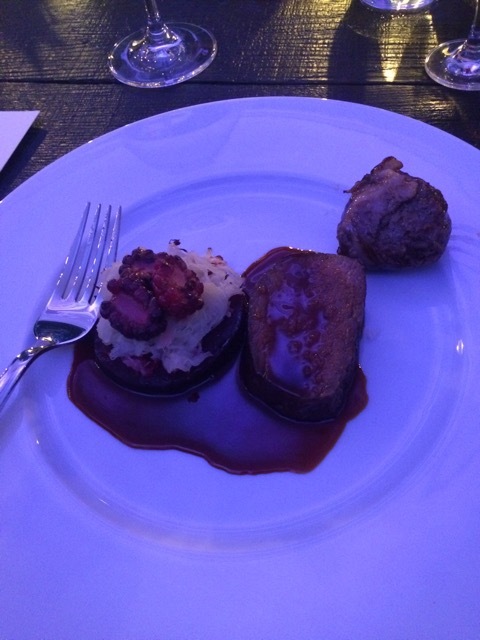 Then came the Roast Venison and Salt Baked Beetroot and Cabbage. This was served with Clementine Steamed Dumplings and Madeira Tea. This course may be my personal favourite of the night. 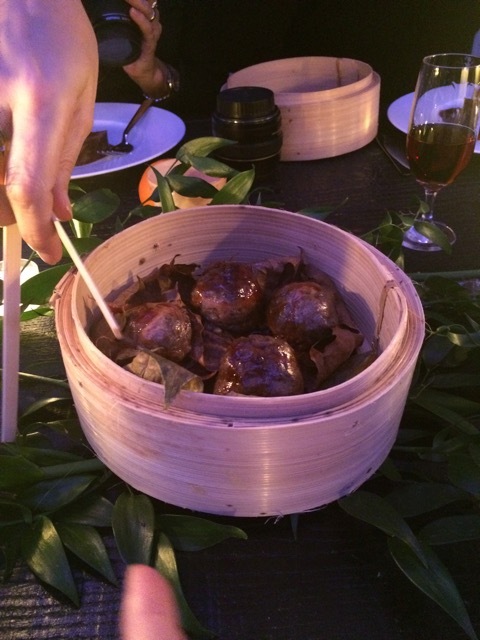 The venison was delicious, however it may actually be the steamed dumplings that complimented it that made this the best course. It was one of the richest courses but the flavours were in no way overbearing. To our amusement the Smashing Clementine came with a hammer, goggles and ear plugs. We had to literally use the hammer to smash through our course, with clementines underneath. 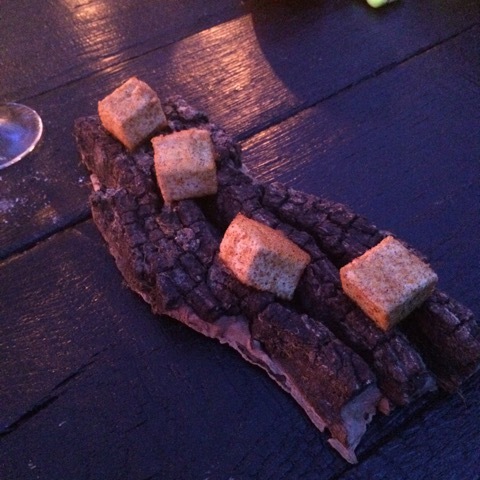 The last course was the Star Anise Marshmallows. 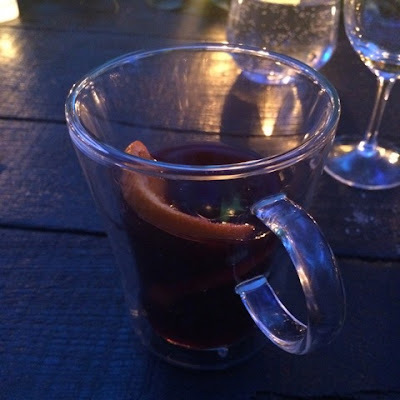 Again, as Star Anise isn’t my favourite ingredient, I preferred the flavours of the desert in the course before, however the Clementine Mulled Wine was delicious and seemed to have a slight kick, which I really liked. It was then time to toast the chefs! 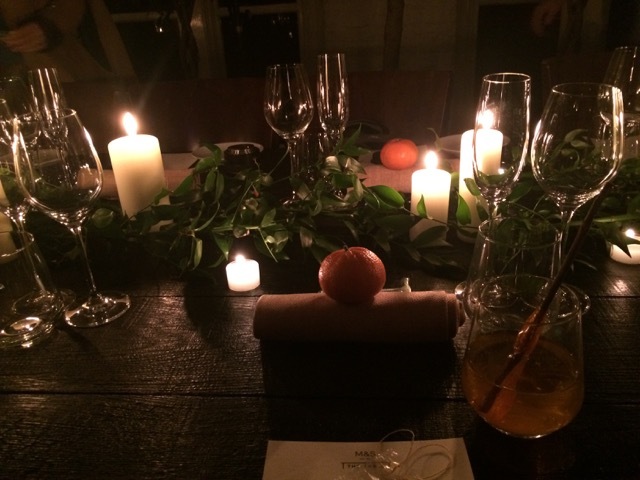 The evening was creative and certainly festive and the team did an incredible job in its execution. All ingredients are from Marks & Spencer, which I think gave everyone some inspiration for an original festive menu of their own.